Para 8.” For, Mr. Ram Jethmalani, learned Senior Counsel, was now more forthright. He told us, that we should not hear the matter, because “his client” had apprehensions of prejudice. He would, however, not spell out the basis for such apprehension. Dr. Rajeev Dhawan, came out all guns blazing, in support of his colleague, by posing a query: Has the Court made a mistake, serious enough, giving rise to a presumption of bias “even if it is not there”? It was difficult to understand what he meant. But seriously, in the manner Dr. Rajeev Dhawan had addressed the Court, it sounded like an insinuation. Para 41 The bona fides of the above submission, are difficult to fathom. It seems to us, that rather than the petitioner tendering his explanation to this Court, for not complying with the orders passed by it, the petitioner’s counsel were posing a question to this Court to explain to them, the legitimacy of the procedure adopted by the Court. In our understanding, learned counsel who represented the petitioner, were surely insincere to the cause of justice, when they drummed their assertions, without blinking an eye; since they were aware, that the factual position was otherwise. For learned counsel for the petitioner, to advance such submissions, to state the least, was unimaginable. 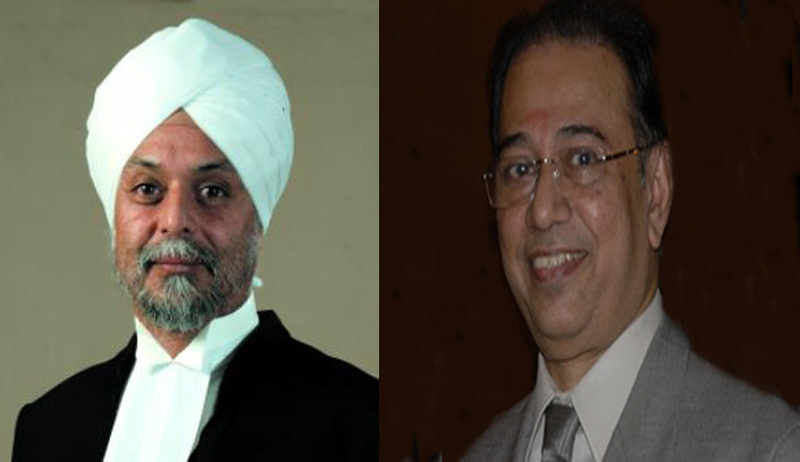 Both Mr. Ram Jethmalani and Dr. Rajeev Dhawan, were lead counsel representing the contemnors in the contempt proceedings. They surely ought to have known better, because they had appeared in the contempt proceedings, in the defence of the contemnors. It is not for a Court, to tender any explanation to any litigant, or to his counsel. Accordingly, it should never be considered as obligatory, on the part of this Court, to tender any such explanation. Undoubtedly, it is open to a party to seek review, of an order passed by this Court, under Article 137 of the Constitution of India. Or to file a curative petition, after a review petition had been rejected, as laid down by this Court in Rupa Ashok Hurra’s case ,if it is felt that a serious mistake had been committed. Para 54 “Despite affording the contemnors close to 40 hearings, and despite putting them to terms which ought to have shown them, that leniency would not be extended forever, the contemnors have remained adamant, and steadfast. Considering the attitude of the petitioner before this Court, one wonders what would happen to the judicial system, if every Court order had to be implemented, in the manner as the one in hand.